El candidato demócrata a la Fiscalía Distrital de Filadelfia habló con AL DÍA News sobre sus planes y metas si resulta elegido en las elecciones generales del próximo 7 de noviembre. Falta exactamente un mes para que Filadelfia acuda a las urnas con el fin de elegir a nueve jueces de la Corte de Primera Instancia del Condado (Court of Common Pleas), dos para la Corte Municipal, un controlador y un fiscal distrital. Uno de los cargos más taquilleros es precisamente el último, dada su notoriedad y porque no en pocos casos ha sido utilizado como trampolín para saltar a la arena política o — en el caso de Seth Williams — a la cárcel. Aunque es un outsider en el escenario político local, Larry Krasner se convirtió en el candidato demócrata a la Fiscalía luego de hacer una campaña progresista en la que prometió liderar una revolución al interior de una entidad temida y desprestigiada. ... Krasner habló con AL DÍA News sobre el giro que piensa darle a la Fiscalía si llega a ser elegido; algo que muchos dan por sentado dada la afiliación política de la ciudad. "The unifying thread here is the criminalization of poverty." Rabia Chaudry interviews attorney Larry Krasner, frontrunner in the Philadelphia district attorney election this November, a nationally watched race. Krasner, a career criminal defense and civil rights attorney, promises to undo decades of destructive criminal justice policies if elected. On the Issues: Who Will be Philadelphia's Next District Attorney? One Step Away is Philadelphia’s first newspaper produced by those without homes for those with homes, with a mission to create jobs and advocate for social change. A team of One Step Away vendors had the opportunity to sit down with both candidates running for the office ofDistrict Attorney (D.A.) of Philadelphia. In this spring's primary, progressive civil rights and criminal defense attorney, Larry Krasner, won in a hotly contested race for the Democratic nomination, in which he united a diverse coalition of organizations and helped mobilize a historically high voter turnout. Beth Grossman — who served as an Assistant District Attorney for over 20 years under Lynne Abraham and Seth Williams, and has managed the Dangerous Drug Offender Unit and the Public Nuisance Task Force — ran uncontested in the Republican primary. Philadelphia's next Chief Prosecutor will inherit a crowded prison system, an opioid crisis growing in severity, and an office seeking to regain public trust after former District Attorney Seth Williams was outed on corruption charges. One Step Away vendors Eric, Tammy, Randall, and Jeff created a list of questions on some of the issues that matter most to us. What made you decide to run, and what's the first positive change you would make? Larry Krasner: I decided to run because I looked at the candidates and I did not see hope for real change. I have been in the system — meaning in court four to five days a week, visiting people in jails for thirty years, dealing with people who have every sort of difficulty in life, including mental illness, addition, [and] homelessness; and I feel like real change is absolutely necessary. So, what would be the first thing I'd do? I would recruit the right people to be prosecutors and fill any openings that may exist. In terms of my policies, I'm very adamant about stopping the pursuit of the death penalty, about ending mass incarceration, about changing civil asset forfeiture so they stop taking grandma's house for what grandkid did or did not do. I'm also adamant about ending cash bail and having a different bail system because I believe cash bail essentially becomes prison for poor people. And then changing a lot of procedures that have resulted in innocent people ending up in jail and guilty people going free. 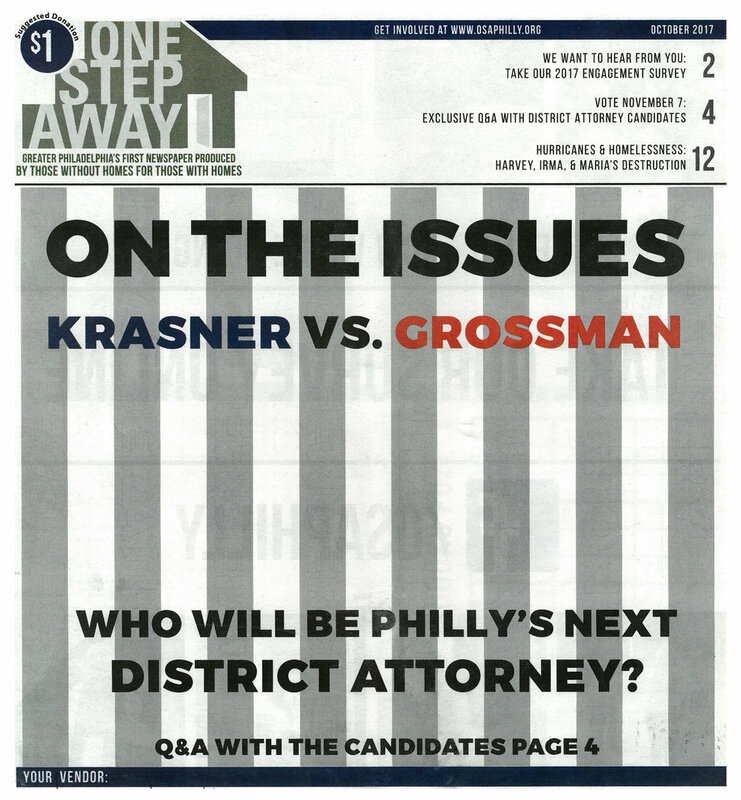 Read the rest of the cover story by finding a street vendor in a yellow vest, or by visiting Arch Street United Methodist Church, 55 N Broad St, 10am – 1pm Mon, Wed or Fri.
District Attorney candidate Larry Krasner talks about reducing gun violence, among many criminal justice issues confronting the city of Philadelphia, as well as about changes he would bring to the District Attorney's office. 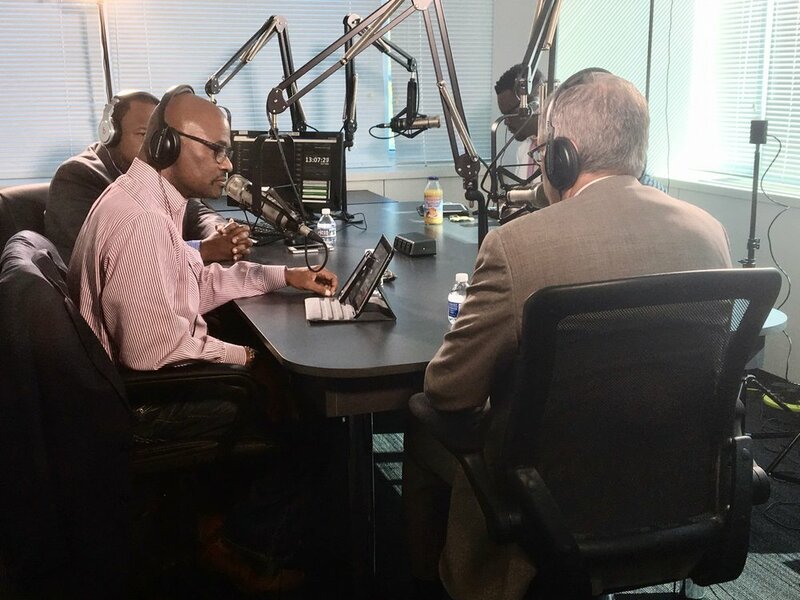 The Hour of Power radio show on WWDB 860AM is hosted by Dr. Steven Avinger and Pastor Reginald Johnson. Mothers, other caregivers, and all women are hit hard by poverty, mass incarceration and cutbacks. A group met on September 28th at the new Crossroads Women’s Center in Germantown to discuss issues related to women, poverty and incarceration with district attorney candidate Larry Krasner. In this series of six videos, you will hear stories from women and men who have been deeply affected by the criminal justice system and hear them question Larry about his plans for reform should he be elected Philadelphia's next DA. The event was hosted by Global Women’s Strike, the Human Rights Coalition, and Women of Color in the Global Women’s Strike. Co-sponsors included Every Mother is a Working Mother Network, Payday, National Welfare and Caregivers Working Group. Larry thanks all of these groups and all of those who attended. In the late 1960s, criminologists like Todd Clear predicted America would soon start closing its prisons. They couldn’t have been more wrong. Today on the show, Dan Denvir from The Dig and Katherine Beckett from the University of Washington Center for Human Rights join Sam to tell the story of mass incarceration in America. 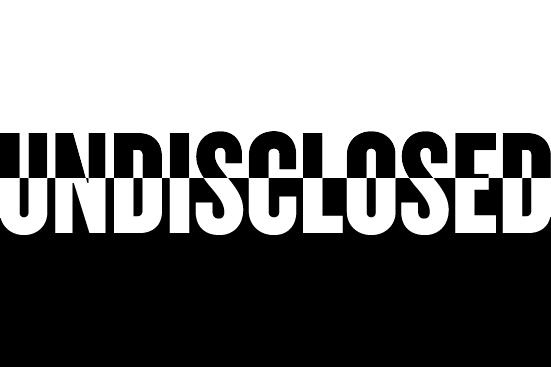 We talk to Rutgers criminologist Todd Clear on what we’ve learned from this “grand social experiment,” poet Reginald Dwayne Betts about redemption and violent crime, and Larry Krasner, a progressive lawyer who has shaken up a DA’s race in Philadelphia [at 46:14]. Solomon Jones of Philadelphia's own WURD radio (96.1FM, 900AM) discusses the First Amendment, equal justice, and the upcoming district attorney election with Democratic nominee Larry Krasner. Wake Up With WURD airs weekday mornings from 7:00am to 10:00am and features a mix of real-time news commentary, headlining guest interviews and humor.